TeamView® Unified Operator is a Unified Communication client which provides centrally located staff with a complete overview of the entire organization and tools for handling all telephony communication taking place through the company’s Attendant Console function. Its native Agent support allows you to take full advantage of your Automatic Call Distribution (ACD) system. A built-in personal Wallboard shows metrics like call load, group members, available Agents/Receptionist, etc. ; ensures the highest levels of customer service ever. TeamView® Unified Operator’s intuitive user interface, powerful Phonetic search engine and simplified use of keyboard deliver the optimal work conditions for receptionists giving what they need to provide customers with a friendly greeting and fast call handling. 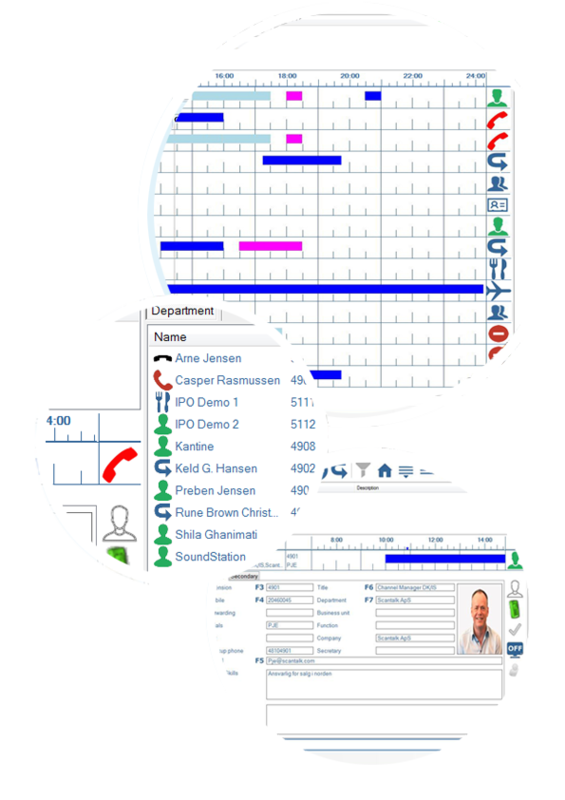 TeamView® Unified Operator is visualized using icons and graphics ensuring a faster overview for busy receptionists. Additionally, all telephony functions can be operated with keyboard shortcuts and/or single mouse clicks. Contact related data (name, initials, directory number, cellphone number, etc.) and organizational information (department, function, position, skills, etc.) are sourced from Active Directory (AD) or LDAP at predefined intervals. Any receptionist can add shared contacts that are not included in AD like customers, partners, suppliers, contractors, etc. Free Text Queries are supported and the returned results are narrowed down progressively as data is entered. Besides from obvious information like name and department, queries can be executed by skills, job functions and any other contact related data or organizational information. Phonetically search is also supported so Mr. Smith will be located even though he’s been searched by Schmidt. It is also useful to support persons with mild dyslexia. 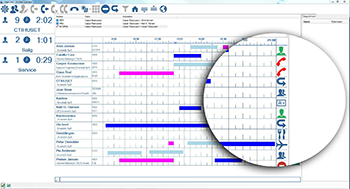 All employees’ calendar entries are gathered from MS Exchange or Lotus Notes and shown in colors according to its type. Availability of employees are displayed with intuitive icons showing Phone and Mobile Status*, Skype for Business/Lync Presence, PC status (screen saver and login/logout) and Absence cause like In a Meeting, Lunch, Vacation, Maternity, etc. If the desired employee is unavailable, TeamView® Unified Operator will list all its colleagues (same department) if the caller would like to be transferred to another person. Receptionists can also change employees call forwarding options on demand. TeamView® Unified Operator can be Logged-in as an Agent in order to guarantee that incoming calls are distributed fairly amongst the available receptionists. Available and Logged-in Operators information is displayed. 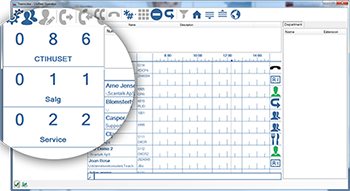 TeamView® Unified Operator can supervise up to 10 hunt-groups providing receptionists with an instant workload overview. TeamView® Unified Operator has no limit in the amount of dissimilar systems to connect with. Embedded multi-vendor capabilities allow any company to maintain a Unified view of the entire organization even on multi-site distributed environments. Comprehensive overview of available resources and knowledge in the organization. Highly user friendly and easy to work with. No limit for the amount of Attendant Consoles. 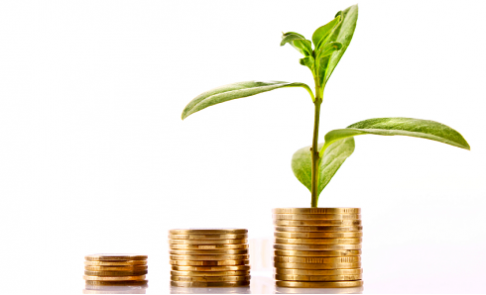 Ensures professional and customer-oriented attitude. Is a Unified Communication client which provides centrally located staff with a complete overview of the entire organization and tools for handling all telephony communication taking place through the company’s Attendant Console function. Intuitive interface combined with a great search engine and simplified use of keyboard ensures the optimal work conditions for receptionists giving what they need to provide customers with a fast and friendly greeting and call handling. TeamView® Unified Operator ist ein Unified Communication Client, welcher Mitarbeitern in der Zentrale einen kompletten Überblick über die gesamte Organisation ermöglicht. Als Vermittlungsplatz bietet er alle Funktionen um die telefonische Kommunikation im Unternehmen auf einfache und intuitive Weise zu steuern.TeamView® Unified Operator’s intuitive Benutzeroberfläche kombiniert mit einer leistungsfähigen Suchmaschine und der vereinfachten Bedienung über die Tastatur bietet Rezeptionisten optimale Arbeitsbedingungen. Die Lösung ermöglicht Rezeptionisten einfaches Vermitteln von Anrufen. Dadurch werden Wartezeiten reduziert und das Kundenerlebnis durch schnelle und freundliche Vermittlung nachhaltig verbessert. Es un cliente de comunicaciones unificadas que proporciona el personal situado en el centro con una visión completa de toda la organización y las herramientas para el manejo de todas las comunicaciones de telefonía que tiene lugar a través de la función de consola de operadora de la compañía. Interfaz intuitiva combinada con un gran motor de búsqueda y el uso de teclado simplificado garantiza las condiciones de trabajo óptimas para los recepcionistas que dan lo que tienen que ofrecer a los clientes con un saludo rápido y amable y gestión de llamadas.